Today was an exciting day because we made our groups and created our businesses! We came up with the names, what each of the groups will sell and a business plan. 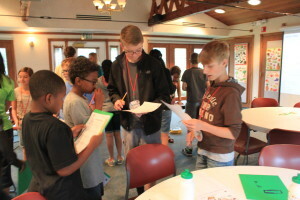 We started by getting to know our group members a little by playing a game to see what people are good at or like to do. There were surveys that asked a bunch of questions to see what the best job would be for each of us, also. 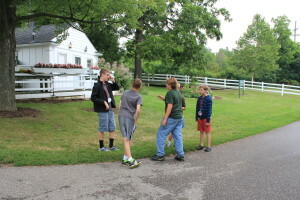 Campers tell each other things they enjoy to do. Each group went around the table to tell others what they put for the things they enjoyed or didn’t enjoy doing. Janini tells her group members what she wrote. After that it was time to assign jobs and come up with the name and business plan. To help brainstorm some groups wrote down different words on sticky notes to put them together. 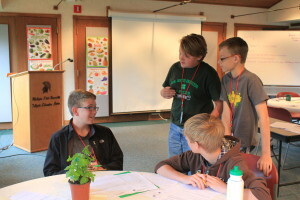 Group members express their ideas about their businesses. 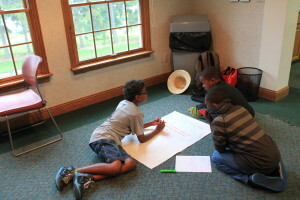 The groups then got together to write down their mission statements and main goal. Team Go and Grow writes down their mission statement. Then it was time to decide where they wanted to set up for Friday! They had to think about parking, competition from the others, and where there would be the most traffic. This group discusses the pros and cons of each spot. 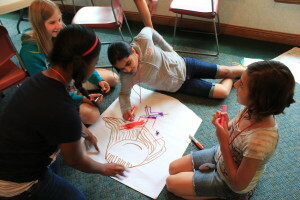 We identified who we are marketing to in each group by drawing a picture of what we think our customer would look like. Green Tree Produce draws what they think their customer will look like. Then we went to work on some of our value-added products. We made pickles today! 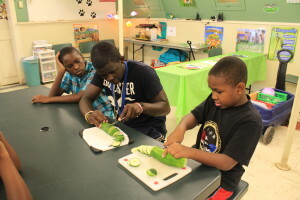 Go and Grow cuts up their cucumbers to pickle. 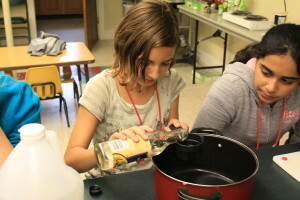 Amelia adds vinegar to the pickling mixture. Jonathan adds pepper to the mixture. After the ingredients were mixed we put it on the burner to boil then poured it over our cucumbers. 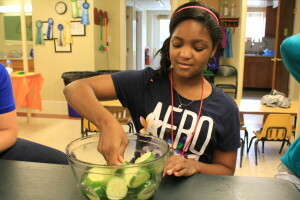 Alayja takes her turn folding the cucumbers in the mixture. When they were all done they went into jars for Friday! We finished off our afternoon with a speaker about becoming a salesperson. We focused on some stereotypical traits of salespeople and how we can avoid some and use others. We also did a worksheet that focused on how we think to see if we could pick out a pattern. It’s important to notice patterns in sales to use them to sell more products. 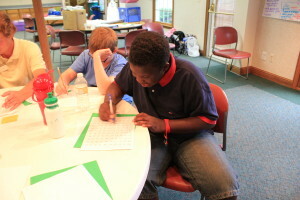 Antonio fills out the pattern worksheet. Tomorrow is another big day for our farm stands. Don’t forget to keep on inviting everyone to your farm stand on Friday! Heat vinegar, sugar, salt, pepper, and garlic until simmer and sugar dissolves. Toss cucumbers and herbs in glass bowl. 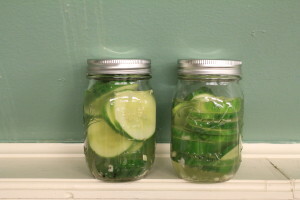 Pour liquid over the cucumbers, stir, and let sit. 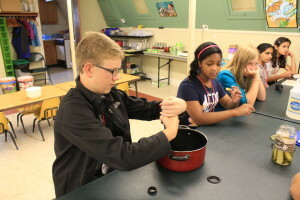 This entry was posted in Camp Blog, Summer Camp, Uncategorized. Bookmark the permalink.